This July marked the 80th anniversary of Amelia Earhart’s disappearance on her expedition to circumnavigate the world by plane. With recent attention in the New York Times and elsewhere, Americans seem to be talking about it just as much today as they were eighty years ago. What is it about the American imagination that still has us fascinated with the story so many years later? We all learned about the courageous Earhart in grade school, remembering all the barriers she eclipsed. First female to fly across the Atlantic; first solo flight from Hawaii to California; and lost without a trace in the Pacific Ocean on a quest to circumnavigate the globe. The last chapter, of course, remains unwritten. So many want to know the fate of one of our most famous Americans. For my own part, in 2007 I helped organize a multimillion dollar search effort in the vast and remote waters of the South Pacific to find Earhart’s missing twin-engine Lockheed Electra, at the time the largest and most sophisticated search effort of its kind. Despite using some of the smartest minds and the most cutting-edge technology available, scanning an area of deep ocean about the size of Delaware where Earhart is almost certain to have crashed after running out of fuel, we didn’t find the plane. Subsequent similar search efforts in that same area near Howland Island where the famed aviatrix was scheduled to refuel have failed as well. 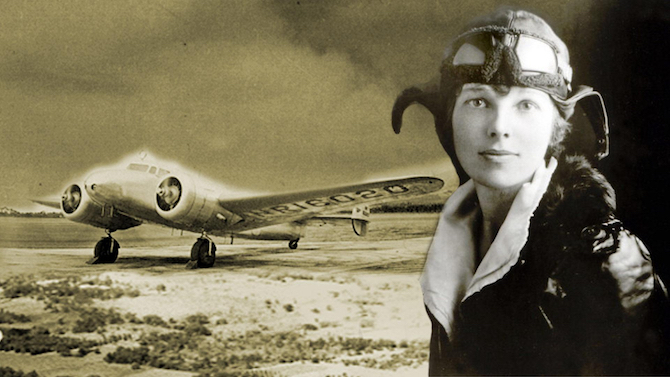 The fascination with the mystery of Earhart has come rushing back to the American public after the History Channel recently aired a two-hour special called “Amelia Earhart: The Lost Evidence,” with newly identified so-called evidence on her disappearance. The entire theory and story hinges on an old photograph, grainy at best, discovered from a recently declassified file in the National Archives. The tall tale suggests that Earhart and her navigator Fred Noonan crash-landed on one of the coral atolls comprising the Marshall Islands, then controlled by the Japanese. The speculation is that Earhart and Noonan were captured and imprisoned until their eventual deaths on the island of Saipan. The documentary, centered on this single black and white photo, was easily discredited by a Japanese history blogger who dated the photograph in question to 1935, two years before Earhart’s famed flight. But even before catching this gaping flaw, a basic analysis of the speculation, while likely well-intended, exposes that the old theory of the Japanese capture of Earhart holds little regard for truth. No doubt exploration ought to be encouraged. But it has its risks and rewards. Is it appropriate for a cable network named and known for “History” to dedicate two hours of speculation based on one grainy photograph as evidence that Amelia Earhart was captured by the Japanese? The best the photograph can suggest is that a Caucasian woman was in the South Pacific. Should History, and history, be held to a higher standard? What the theorists involved never answered satisfactorily is how the Japanese, eventual sworn enemies of the U.S., could hold America’s most famous woman captive for years without a single mention of it. Earhart would have been a prize of the highest order for Japanese propaganda, the kind that Tokyo Rose would later have used to demoralize American and Allied Troops. This would be like Iran or North Korea capturing Oprah or Beyoncé and never recording or uttering a word. Not likely. The theorists claimed the Japanese captured Earhart about 1,000 miles from her last known radio contact. She broadcasted to those awaiting her refueling arrival at Howland Island the now famous distress message, “We must be on you but we cannot see you. Fuel is running low.” Then, according to these theorists, Earhart apparently turned around and flew one-thousand miles on an empty tank to where the Japanese nabbed her. This defies the laws of physics: literally impossible. It’s interesting how such theoretical discoveries about Amelia Earhart like the History Channels latest seem to take flight around an important anniversary. This year it’s the 80th anniversary of her disappearance. In 2010 we were treated to another “anniversary theory” when a group of Earhart enthusiasts and explorers known as TIGHAR claimed to have actual high definition video evidence via sonar and a Remotely Operated Vehicle (ROV) of Earhart’s missing plane, which they claimed rested on a reef off Nikumaroro, an island on which they believe Earhart perished after crashed-landing there. Their later expedition to the island with more sophisticated equipment was going to confirm it for the world, once and for all. Unfortunately, we never heard of that development again. Despite the gaping holes in the most recent Earhart disappearance theory and others like it, there may be a silver lining. Why has this story captured the imaginations of so many Americans over 80 years later? 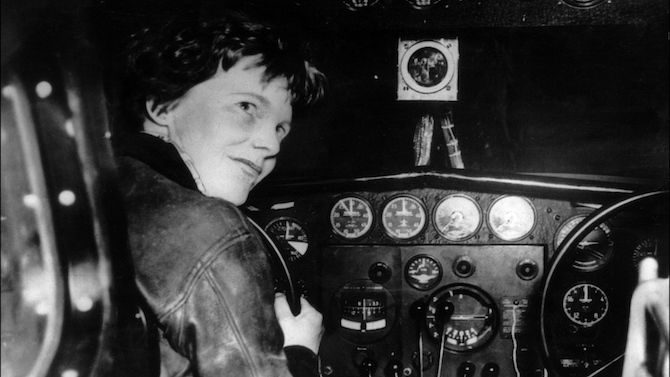 Earhart embodied the courage of breaking barriers and excited a nation, something we could certainly use more of in an oft-skeptical world today. Years later, her story continues to rekindle that desire. John Heubusch is the executive director of the Ronald Reagan Presidential Foundation and Institute and author of the new novel, “The Shroud Conspiracy“.